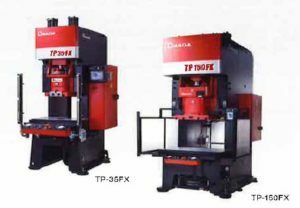 AMADA Stamping Press - Texmac Inc.
Model Size ranges from 15 Ton C-Frame to 400 ton Straight-Side Presses. Crank, link, knuckle, multistep, pendulum, pulse motion. Optimum slide motions and strokes can be set for specific applications. 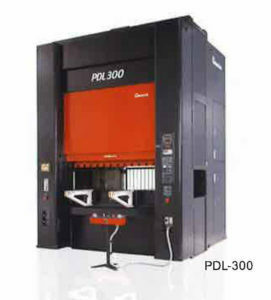 The upshot is better productivity than that of conventional stamping press product systems. 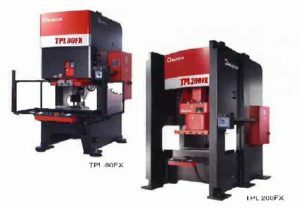 The most of of two-point stamping is made by development of digital servo direct drive for precise slide motion control and highly rigid one-piece side frame. Stamping is accomplished with high stability, accuracy, and productivity. A planetary gear transmission is installed. A wide bed is adopted to ensure stable and continuous stamping. A TFT color touch screen is fitted as standard and provides better visibility and operability. Eco-functions reduce power consumption. 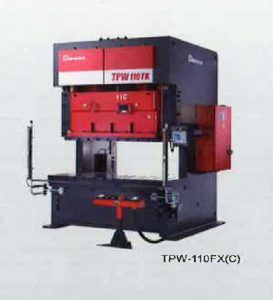 The TP-FX series adopts a highly rigid frame and a six-sided guide of construction designed against eccentric loading. 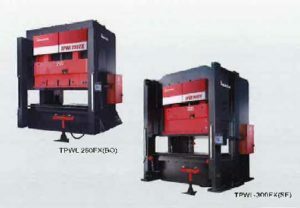 These are the long selling presses focusing on stamping accuracy and versatility. 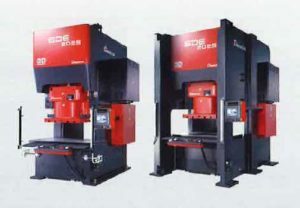 These C-frame two-point presses come standard with link mechanisms. These are also bridge specifications (BI, BO, BN, and SF types) that limit gap opening in pursuit of higher stamping accuracy. Eco-functions reduce power consumption. Link presses with knuckle mechanism – slowdown near the bottom dead center and practical stop at the bottom dead center assure accurate plastic working. Slow return improves machine availability. 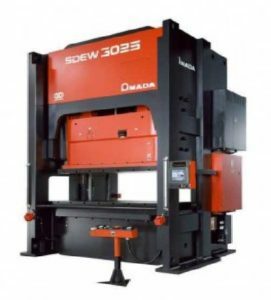 Highly rigid frame and bed structure – frame rigidity is several times higher than that of conventional presses. An optimum frame and bed structure is combined with a highly rigid structure of column, slide, and crown. The total elongation is 0.005 mm/10 kN or less. Unprecedentedly high accuracy, productivity, and deep drawability are achieved with a link mechanism. Eco-functions reduce power consumption. Operability improvement and machine data management.